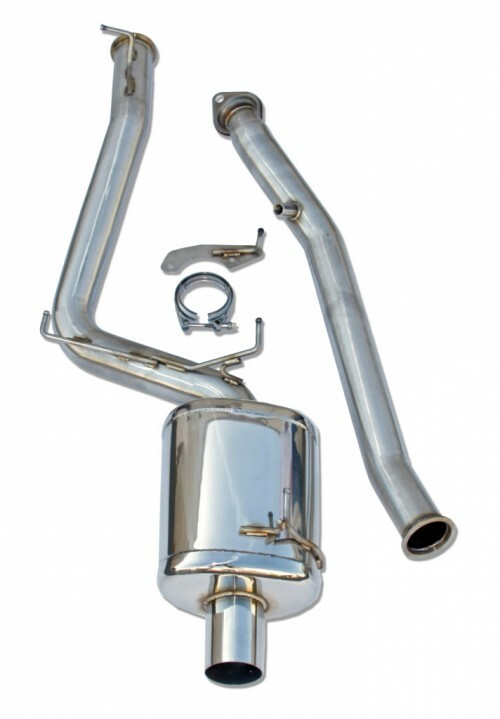 This exhaust is designed for NA and Turbo applications for the S2000 with the least amount of restriction possible. Contrary to popular belief, the exhaust has proven to make power throughout the entire power curve as well as withstand the harsh track environment that the product was tested in. Made with a thick gauge of stainless steel piping, this exhaust can take the punishment of everyday use and racing to a whole new level. - Single V-Band connection that uses zero gaskets and is quick release with only one nut to remove. - Extra support hanger is included. Prevents "wobbling" of the exhaust. OPTIONAL: 3" High flow cat option integrated into B-pipe. NOTE: Make sure to purchase the correct exhaust for your S2000 by checking the make year of your vehicle. The AP1 has slightly different hangers that mate up to the S2000, thus, the exhaust sits slightly higher than the AP2 exhaust. That minor difference may be the difference of how your exhaust sits at the exhaust cutout in your bumper. Recommedation: The 3" HFC header back exhaust works better on a stock or a lightly tuned NA setup. For highly tuned NA or FI applications, the 3" TP version is the better option.